Last night I intended going to the Poetry Cafe but life got in the way. 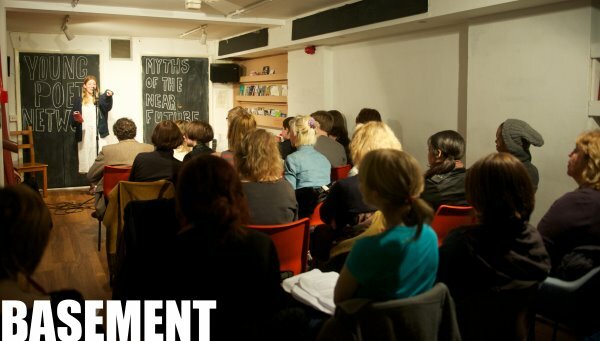 It was the second London event of Telltale Press, a poetry collective (this site likes collectives) set up by ‘poetgal’ Robin Houghton. There were some great poets on the card and besides wanting to meet Robin for the first time, I was looking forward to hearing Catherine Smith reading from her new collection, The New Cockaigne. Instead, after doing many other things, my thoughts veered towards that dark, featureless street in the heart of Covent Garden. If poets were estates agents, Betterton Street would be the most expensive area of real estate in London. It probably isn’t far off as it is, but the value added when you that think some of the world’s most well respected poets have walked down those narrow stairs to the Poetry Cafe’s basement to read. There, with its plastic canteen chairs, squeaky door to the toilet, all year round tropical heat, people sit cosily together, unsuccessfully trying not to knock their drinks over. But the great thing about the Cafe, and places like it, is that it is the lesser known poets, who are also able to read and perform there. Through open mics, poetry must be one of the most accessible art forms in terms of your opportunity to participate. I think they should take the open mic approach with football; at the start of a match, you could have a bunch of aspiring players kicking off, then as the game progresses, you slowly substitute them for more established players. You could then make the games longer and get more value for your money. My first open mic was in the garden of Keats House, where purely by chance I was last on the bill before the headline act. So I now tell people my first gig was supporting Anthony Anaxagorou. I’ve since gone on to support Jo Bell, but I was well down the running order that day. 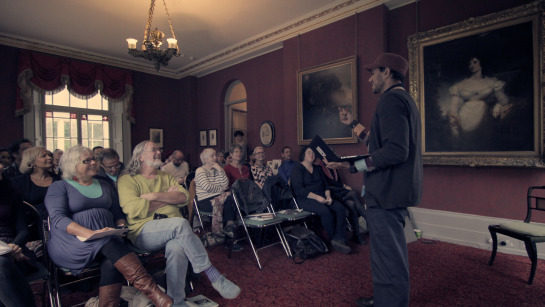 This event is run by the Keats House poets Raymond Antrobus and Simon Mole, who do great work and it is always a great way to spend a Sunday afternoon (my mother-in-law lives just down the road). But there are so many events and venues now ‘doing’ poetry throughout London and the UK, and I am sure it is similar in other countries. 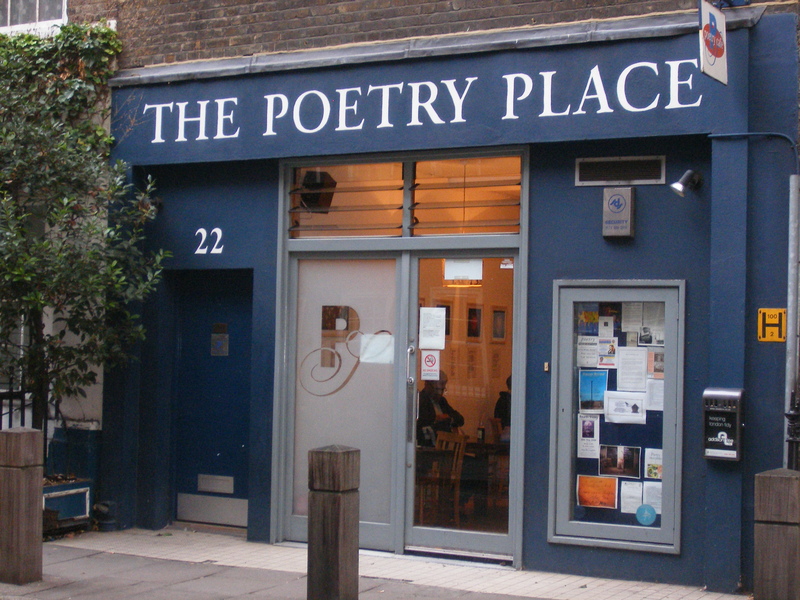 So let’s not forget the value of places like the Poetry Cafe; the way in which they provide a welcoming environment, where you can listen to and read poetry to a great bunch of people. Just take a look at their calendar; almost every night some type of poetry event is being put on often with the chance to read yourself. But don’t tell the estate agents or they might just find out its true value. Super post, Peter! Yes, The Poetry Cafe has an atmosphere all its own – it could be Paris in the 60s – tee hee! Thanks for the shout for Telltale – I’m sorry we didn’t get to meet, no doubt our paths will cross sometime soon. Best wishes, Robin. Thanks very much Robin, and as I say, sorry to have missed it. Having read your blog post it sounds like it was a great night. Thanks Hilaire. Hope to catch up sometime.